Cleanliness, the place was spotless and the way it's decorated it's like an oasis of calm. The host couldn't have been better, so helpful, pointing out places of local interest and warning us about load shedding times and pointing out which restaurants have a generator and would stay open after power went. She also lit candles so we'd be able to find out way back to the apartment when we came back from restaurant. She was also a fluent French speaker which delighted my partner. I also liked the book exchange in the common area and Wi-fi was good and good safe parking spot. It was a shame with the load shedding meant we didn't really get the time to enjoy the beautiful facilities at night. The place is lovely! Beautifully decorated pathway leading up to the room.. The room was nice.. Good kitchenette with a stove! Janine is a gracious hostess. The apartments feel like an extention of her home. They are well appointed and have a personal feel to them. The view from our room was beautiful and the walk down into town very easy. Great location and views. Clean and spacious. Secure parking. Beautiful views - our room was large and airy - the beds were comfortable - the bathroom was modern - Janine was an excellent host. The host was exceptional she made us feel at home. 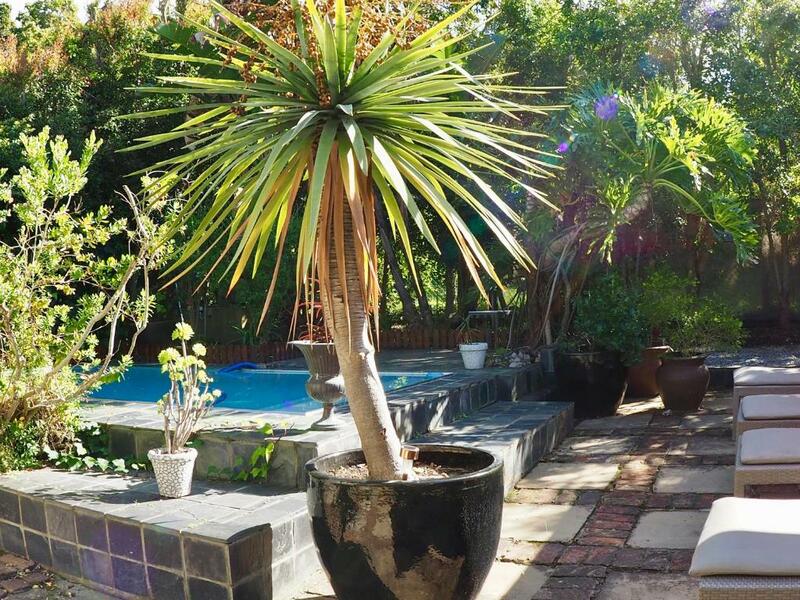 The swimming pool is situated between trees and a beautiful garden with sun beds to soak up the South African sun. Rooms are beautifuly decorated. 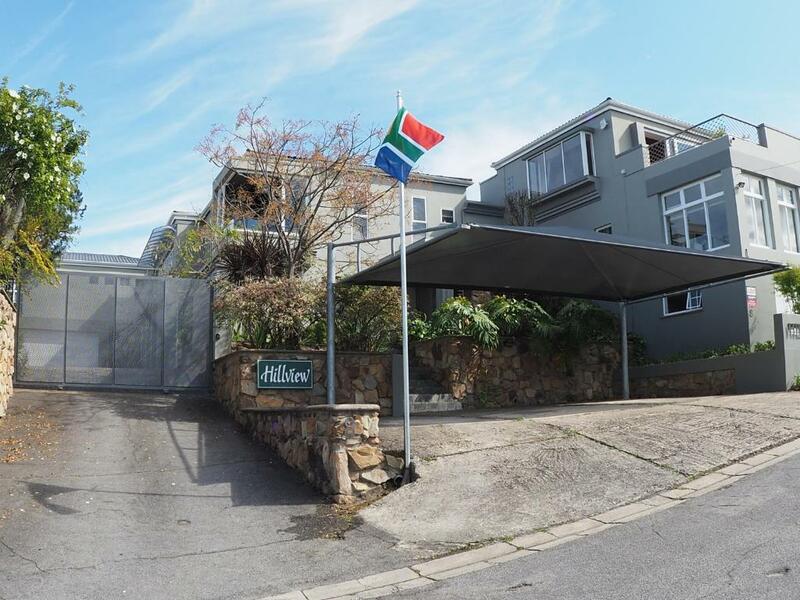 Lock in a great price for Hillview Boutique Apartments – rated 9.5 by recent guests! Hillview Boutique Apartments This rating is a reflection of how the property compares to the industry standard when it comes to price, facilities and services available. It's based on a self-evaluation by the property. Use this rating to help choose your stay! Hillview Self Catering Apartments is located on a hill overlooking the Knysna lagoon. It features a swimming pool surrounded by a sun terrace. It also includes free undercover private parking and free Wi-Fi. Each unit at Hillview is elegantly decorated and has a private bathroom. All the apartments have a spacious living room and a TV with digital channels. Some of them have private patios or balconies with views of Knysna. Guests can enjoy the privacy of their own fully equipped kitchens to prepare their meals. Barbecue facilities are available in the garden near the pool, and also in some of the private balconies. 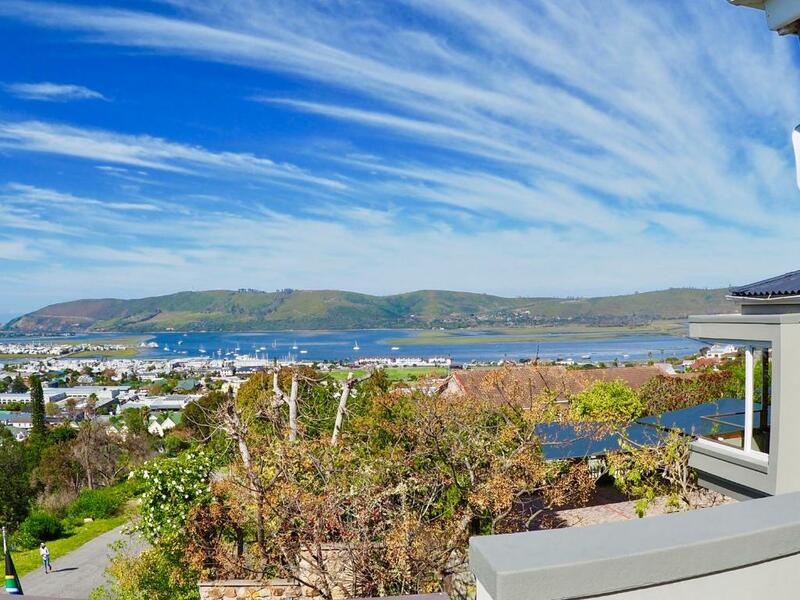 Knysna’s town center is just a 10-minute walk away from the apartments. 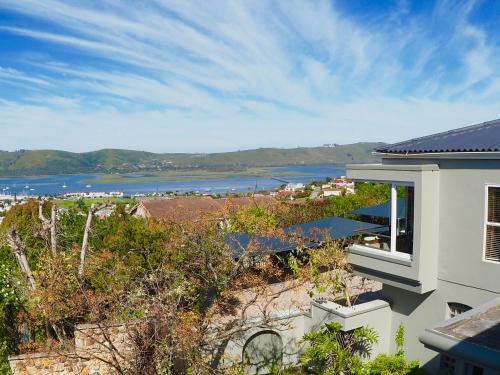 Just a 20-minute walk is needed to arrive to the Knysna Quays Waterfront, with its many restaurants. The Knysna Heads and the beaches are 5.6 mi away. When would you like to stay at Hillview Boutique Apartments? 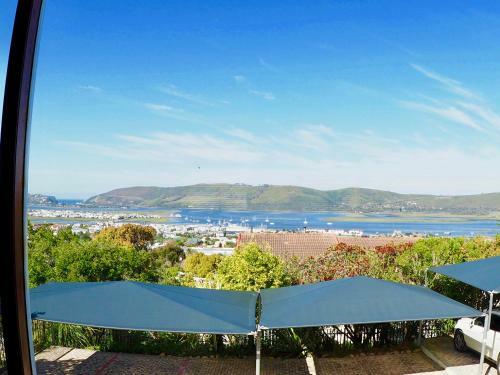 This bright and spacious apartment features an open-plan living room with a fully equipped kitchen offering panoramic views of Knysna. It is composed of 1 queen size bed and 1 single bed and can accommodate 2 adults and 1 child. 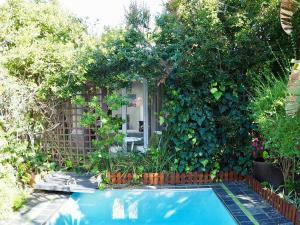 This spacious apartment is elegantly decorated and has direct access to the garden and the pool courtyard area. It has a an open-plan living room with a fully equipped kitchen and a private bathroom. It can accommodate up to 2 adults and 1 child. This room offers wheelchair access. This apartment leads onto the swimming pool area and features an open-plan living room with a fully equipped kitchen. It has a private bathroom and can accommodate up to 2 adults and 2 children. This apartment has a satellite TV, kitchenware and stovetop. This apartment has a dining area, electric kettle and private entrance. Perfect location in the heart of Knysna, Western Cape, you will stay in our carefully decorated apartments. 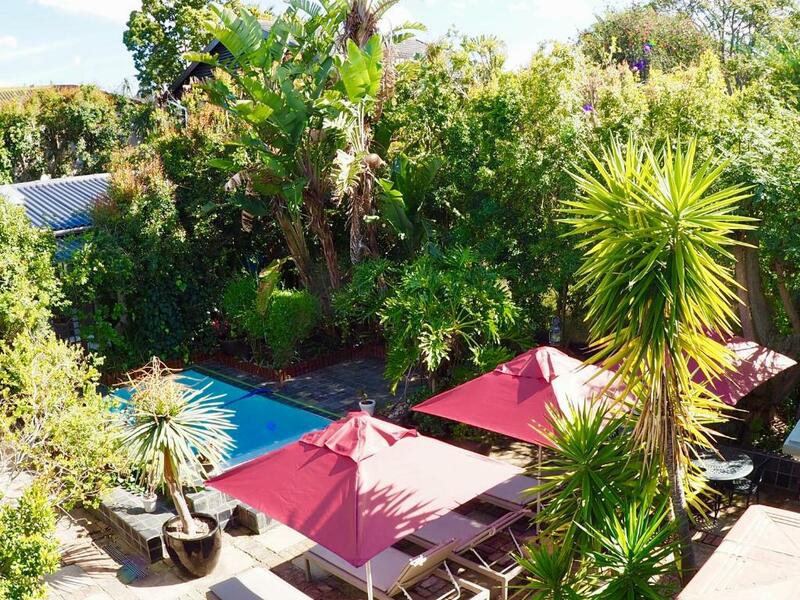 We will offer Four Star Establishment Service, much more than your average self catering. We have the perfect place for your holiday, golf lovers we have space, cycle fanatics, we have room for all your equipment. Pet lovers, we can accommodate with notice. All Children welcome. We have what you need. Dynamic, hard working, dedicated to serve. Always available onsite. Adding extra amenities, multi lingual, excellent host. We have traveled the world and we know what you need. Quiet residential area. Perfectly situated close to town but far enough to have a peaceful night sleep. Beautiful views - envied by most establishments, we tick the boxes. House Rules Hillview Boutique Apartments takes special requests – add in the next step! Debit card Hillview Boutique Apartments accepts these cards and reserves the right to temporarily hold an amount prior to arrival. Hillview Boutique Apartments accepts these cards and reserves the right to temporarily hold an amount prior to arrival. Please inform Hillview Boutique Apartments of your expected arrival time in advance. You can use the Special Requests box when booking, or contact the property directly using the contact details in your confirmation. Everything about the place from the welcoming owner, to the facilities in the apartment (inc refreshments). There were no negative factors. 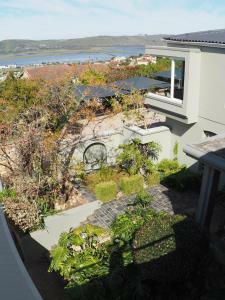 Beautiful apartment in the heart of Knysna, nice decoration, great view over the lagoons. Owner have been very welcoming and helpful. Brilliant host! Very friendly, very safe, excellent overall! Best place we stayed at in South Africa. Would strongly recommend! The host showed us where all the best restaurants were, and what attractions to hit up whilst we were in Knysna. We ended up staying an extra night we were so happy there. Thank you so much! Great view, very large room, very nice hosts and a nice garden in the back. We enjoyed the stay very much and would come back. Driving up the hill is no issue, since you anyways like to drive everywhere in SA anyhow, plus the view is amazing. Wish it would have been warmer to enjoy the outside private terrace more.